During negotiations this morning, Tuvalu made another impassioned plea for the world to realize that its very survival depends on a binding and effective agreement. 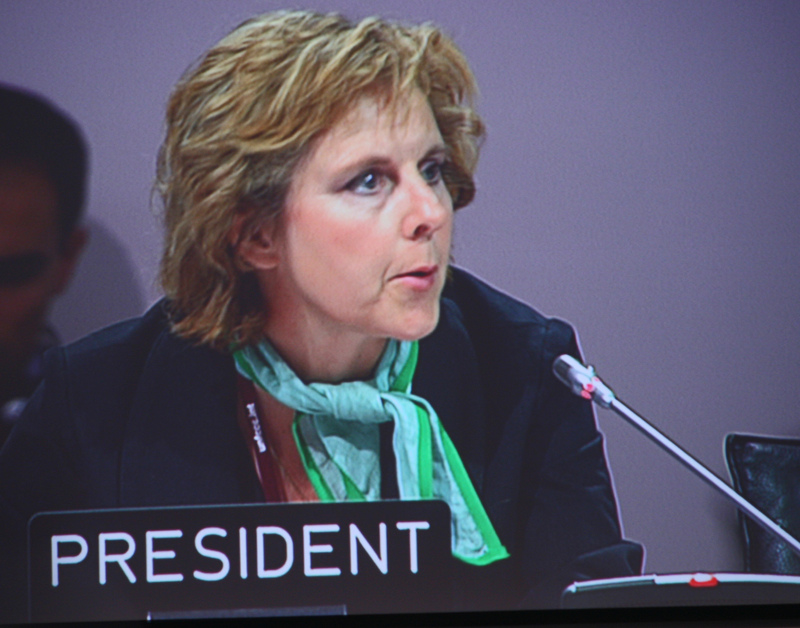 Negotiations this afternoon went back and forth as the parties are still divided about whether or not to abandon the Kyoto Protocol in favor of a totally new agreement. Annex-I countries, however, such as Canada, Japan, Switzerland and Sweden all stated that the Kyoto framework will not be effective enough to keep climate change below the 2 degree number. They each stressed the need to merge the Kyoto document into a new binding agreement that eliminates the two-track system. The 5th meeting of the CMP is now adjourned. This entry was posted in AOSIS, Behind the Scenes, China and G77, Copenhagen and Denmark, Europe, Rules and Regulations, Uncategorized and tagged CMP5, COP15, g-77, Ian Fry, plenary meeting, Tuvalu, two track. Bookmark the permalink. ← Renewable Energy Advocates Get Upclose Look at Middelgrunden Windfarm.